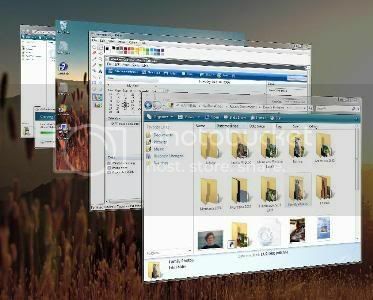 The Flip3D feature in Vista is great looking and pretty useful too especially if you have many windows opened. But if you have a low end graphic card then you might experience a little choppiness while flipping through your windows. It’s mainly because the frame rates drop. 1. Go to Start> Type regedit and hit Enter. Navigate through HKEY_CURRENT_USER, Software, Microsoft, Windows and DWM. 3. Now, create a new DWORD and call it Max3DWindows. 4. Set the value of this to something between 4 and 9 depending on the performance of your card. Experiment with the values to find the best value for your hardware. 5. Restart the DWM interface by running net stop uxsms and net start uxsms at an administrative level command prompt.